Stainless steel letterbox parcelbox mailbox for brick in to pillars or walls. Brighton's optional 3 digit combination lock features large, easy to read digits and allows you to set and reset your own code. Free Shipping to Victoria, New South Wales, Australian Capital Territory and South Australia. 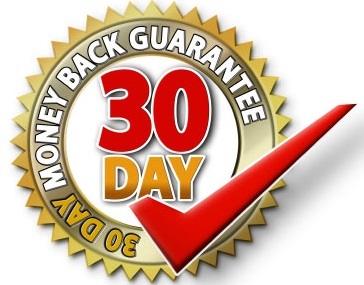 $30 Subsidised Shipping charge to Queensland, Western Australia, Tasmania and Northern Territory. 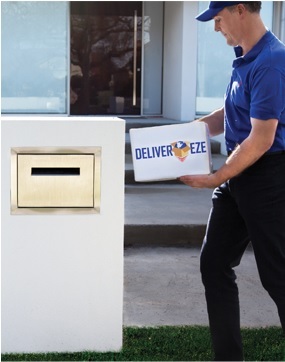 The smart Deliver-Eze® Brighton parcel letterbox offers another carefully designed, trademark combination of form and function. It is intended for custom fitment into brick and masonry (e.g. stone, sandstone or rendered) pillar structures and walls. Measurements suit standard brick and block sizes. (See installation instructions). 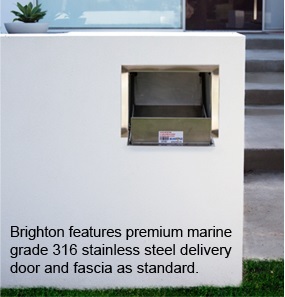 Installing any mailbox in masonry is a substantial investment in time and money, and you don't want it to wear out or rust, so the durable frame at the heart of Brighton’s construction is manufactured from 304 stainless steel. Equally robust is an integrated delivery door finished in premium marine grade 316 brushed stainless steel. Retrieve parcels and mail via a rear locking door, available in your choice of two popular powder coat colour tones. CHOICE OF REAR DOOR POWDER COAT FINISHES: Dulux Black Mannex (finely textured) or Colorbond Surfmist Satin (white with greyish tone) as standard. Materials: Marine Grade 316 stainless steel front delivery door and fascia. 304 stainless steel frame. Heavy duty pre-galvanised, phosphated, E-coated and powder-coated steel (rear door).